Nothing spells comfort better than a country home. 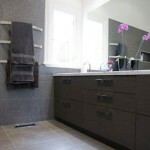 With every corner emitting the warmest and most welcoming feeling, the bathroom should not be an exception. 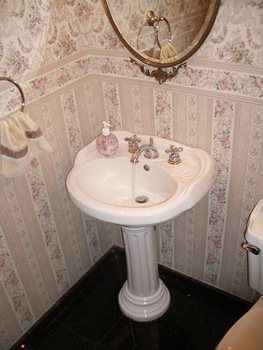 So how exactly do you give your bathroom a touch of that old country feel? Well, here are 7 of the best (and affordable) tips you can apply now. 1. Go for wallpapers or wooden panels. 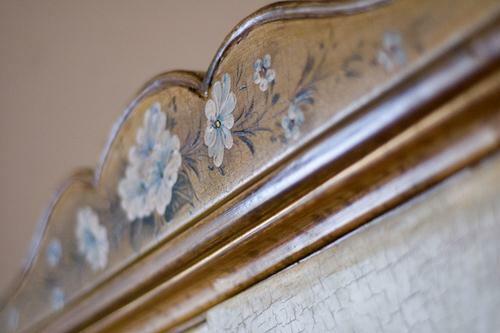 When it comes to designing your wall, you can reintroduce mute or floral wallpaper patterns – or even wooden panels. This makes the bathroom a lot cozier rather than having just whitewashed walls. 2. Set the mood with vintage lighting. Next stop are your light fixtures. Forget about fluorescent lights and plain yellow bulbs. 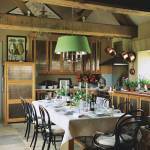 Country styles are all about the vintage look and what better way to set the mood than adding a chic chandelier? Now you don’t have to buy a new one. There are tons of classic, shabby chandeliers in flea markets and second hand shops. You can get one that looks just as beautiful for half the price. 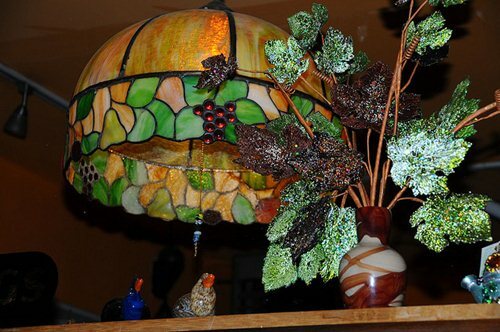 Oh, and another trick would be a tiffany-style lamp and place it on one of the shelves or on a small table to act as dim light. 3. 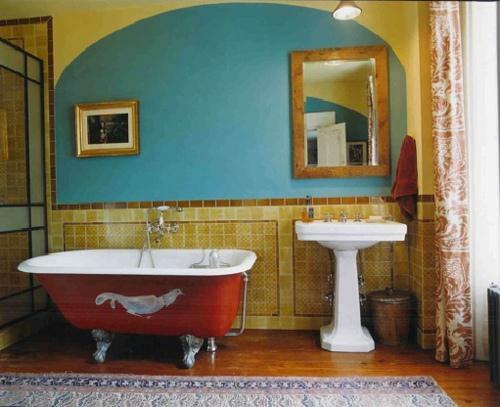 Opt for a clawfoot tub or its modern reproductions. 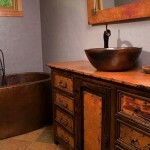 If there’s one thing that truly exudes a country style bathroom, it’s the clawfoot tub. Some of these may be expensive and hard to find but there are a lot of its modern reproductions you can get at a better price. It doesn’t matter if you got a white, painted or even iron one. 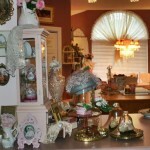 All it takes is for you to complement it with the other furniture and fixtures. Don’t forget to finish it off with a towel resting on one of the tub’s corners. 4. Put in more wooden and woven touches. 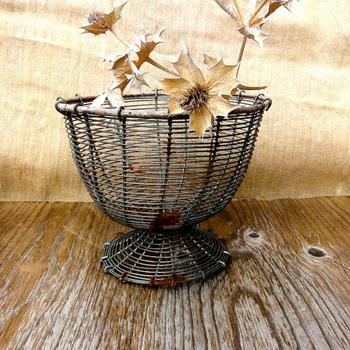 Replace your plastic trash bins with woven baskets. 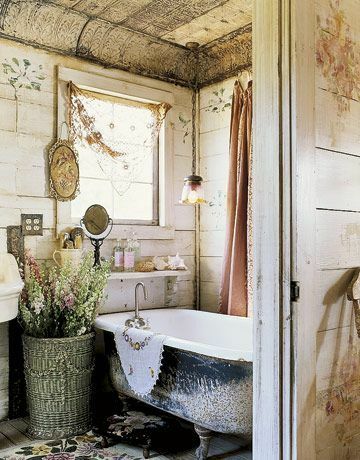 You can even add a big wooden basket of flowers if you have a spacious bathroom to accentuate it. Also, consider replacing your shelves with those unused cupboards stuck in the kitchen. 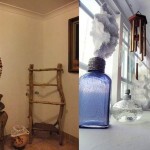 Instead of just letting it go to waste, make use of these wooden wonders and incorporate them to your bathroom. 5. Consider your colors carefully. Warm colors never fail to give off a country feel. 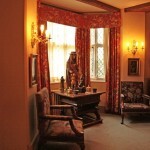 So opt for the warm reds, yellows and blues and blend them for design. Whether it’s through the towels, walls, tiles or other fixtures you’ll put in, consider the colors carefully. 6. It’s all about the extras! Now that you’ve got the foundation of a country style bathroom, it’s time for the extras, which I consider the best part! Small things like a porcelain hot-and-cold faucet, glass doorknobs, floral curtains and throw rugs make a big difference. In this case, the sandpaper is your best friend. Rub a 150-girt against the edges of your drawers and cabinets. You can even go as far as rubbing your cabinet’s surface until it shows its raw appearance. Remember not to over think. 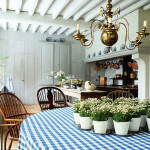 The beauty of country style homes is its rustic and organic look, which should extend to every room in the house. So have a go at these easy but clever ways to beautify your country style bathroom. Kole Tesamon loves coming home to a cozy space after a long day of work. Apart from sharing tips for better living, she works as a freelance writer for a post tensioning system company that helps build great structures at maximum strength and with minimum construction materials.